We thank Geoff Ruffell our outgoing Chairman for the last 3 years and welcome Chris Daniels. The 400th anniversary of the Pilgrim Fathers saw a commemorative Flag presented to the people of Scrooby. We welcome new members Wilmot House Bed & Breakfast and Blaco Hill Farm Holiday Cottages. The new BBC TV program, Robin Hood, has awakened interest in Sherwood Forest with more visitors to the Great Oak and the Robin Hood Visitor Centre. The campaign is now on for a new Robin Hood Visitor Centre - which will culminate in a TV showdown next year - watch this space for details. Hover over and click through for tourist attractions and accommodation. Clean fresh air, stunning sun sets and no crowds. 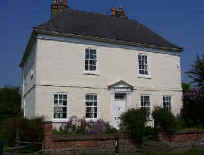 Nottinghamshire, UK, fabulous accommodation, fine food and a friendly welcome. Two years from opening and Robin Hood Airport is booming, with more flights than Leeds-Bradford and routes to 45 destinations including Europe, Canada, USA and India. Robin Hood Airport, Doncaster, looks set to put Sherwood Forest and Nottinghamshire on the map.